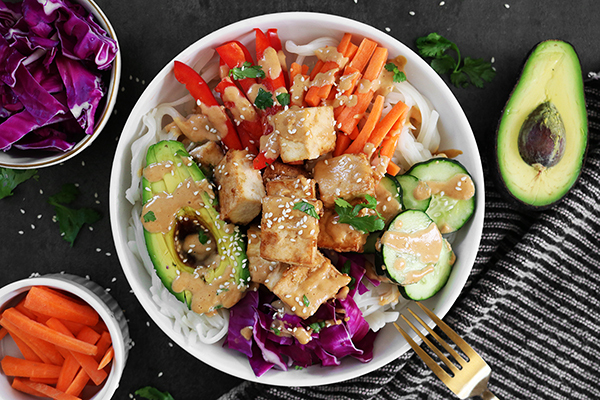 This healthy spring roll bowl features baked tofu, peanut sauce, and lots of veggies. 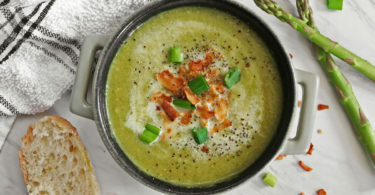 It’s basically a delicious deconstructed spring roll in a bowl! Do you love Vietnamese spring rolls? 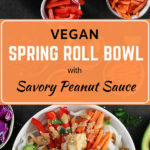 If so, you’ll want to add this vegan spring roll bowl recipe to your to-do list. 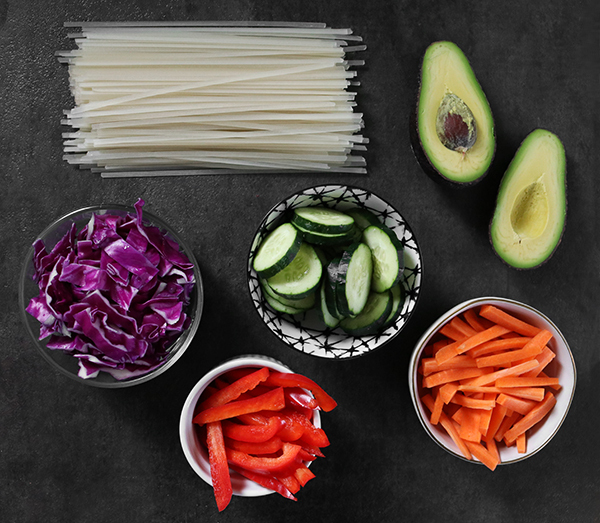 Not only is it healthy, simple, and easy to customize, but it’s exactly like a deconstructed spring roll! This bowl is also perfect if you’re not a fan of wrapping spring rolls in rice paper, which can be tricky to work with. And since spring rolls aren’t complete without a dipping sauce, the following recipe also includes a savory peanut sauce recipe. You can drizzle this sauce on top of the bowl or toss it with the ingredients — the choice is yours. The best part? It can be made with the nut butter of your choice, like cashew or almond butter. We promise it will taste just as good. 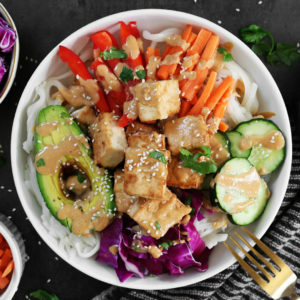 The protein portion of the spring roll bowl is baked tofu that’s been marinated in ingredients like soy sauce and rice vinegar. But if you don’t like tofu, you can use your favorite meat substitute. (Chickpeas would be delicious, too.) And, as always, don’t be afraid to experiment with your favorite vegetable combinations and what you have on hand. First, gather your ingredients for the baked tofu. This part of the dish takes the longest to cook, so it’s best to start it first. While the tofu bakes in the oven, you can prepare the rest of the recipe. Pre-heat the oven to 400 degrees Fahrenheit. 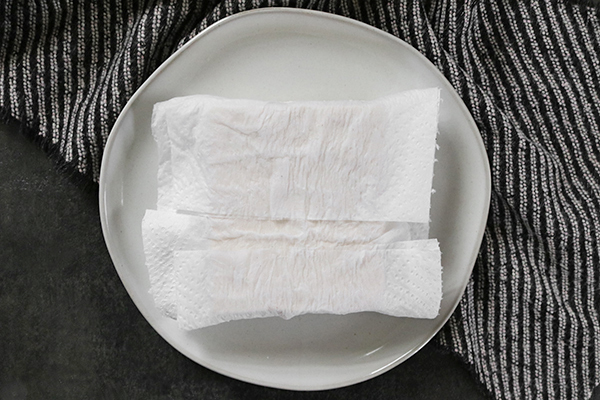 If you haven’t already, wrap the tofu in paper towels (or a clean towel). Place a heavy object on top, like a cast iron pan or canned vegetables. Leave for 20 to 30 minutes. The more liquid is squeezed out, the more the tofu can absorb the marinade later on. 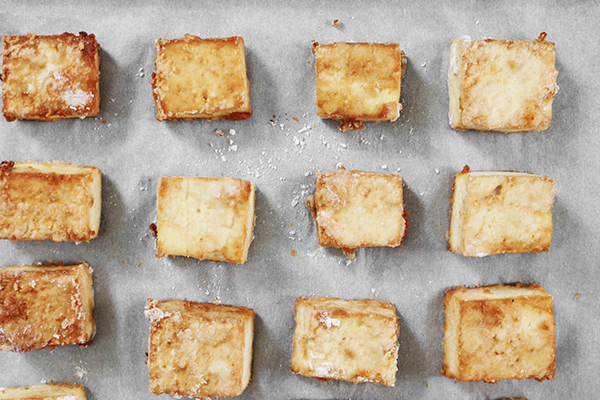 Slice the tofu into 1-inch cubes. In a separate bowl, mix the olive oil, soy sauce, grated ginger, and garlic powder. For a gluten-free option, use tamari instead of soy sauce. Toss with the tofu and let sit for at least 15 minutes. 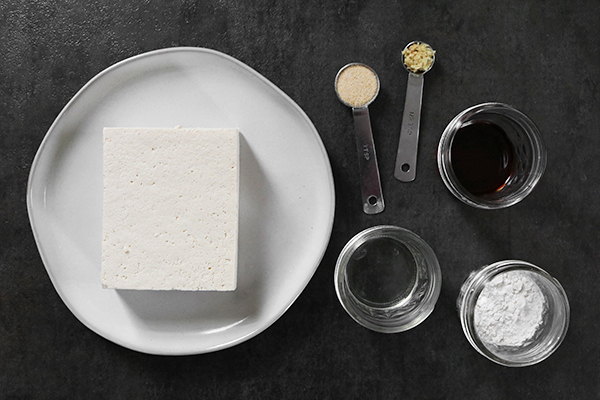 Lightly coat the tofu with flour. If you’re making a gluten-free version, use cornstarch, arrowroot flour, or your favorite gluten-free flour. Line a baking sheet with parchment paper. Bake for 25 to 30 minutes or until golden brown, flipping halfway through. 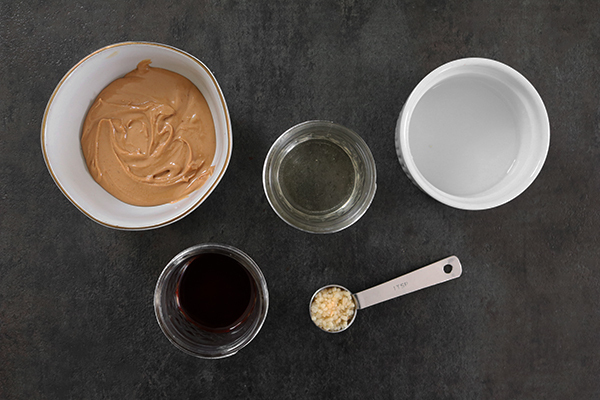 While the tofu is baking, make the savory peanut sauce. If you don’t want to use peanut butter due to an allergy, feel free to use cashew or almond butter. 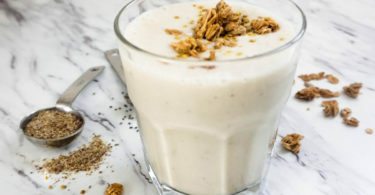 In a blender, combine all of the ingredients and process until smooth. Don’t be afraid to adjust the ingredients according to your preferences. For example, if you prefer a thicker sauce, use less water. If you want a thinner sauce, add more water. You can also add more or less rice vinegar, soy sauce, or minced garlic depending on your taste buds. Anything goes! Last but not least, prepare the rice noodles and vegetables. Cook the rice noodles according to the package’s directions. Make sure you don’t overcook them, as they’ll become gummy and stick together. Once they are done cooking, quickly rinse them in cold water to help reduce stickiness. As with any salad or vegetable bowl, you can use whatever veggies you like or have on hand. For this recipe, we used red cabbage, cucumbers, carrots, red peppers, and avocado. 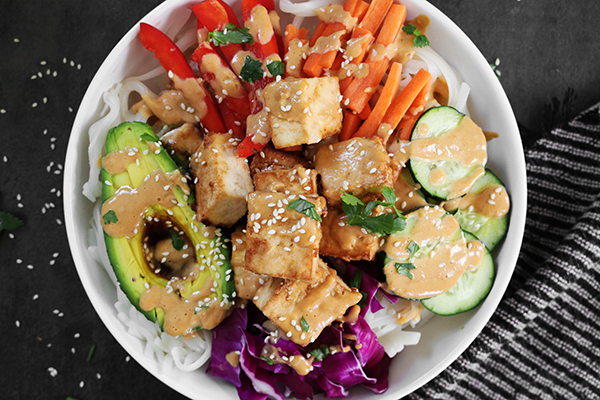 When you’re ready to enjoy your spring roll bowl, combine the noodles, veggies, baked tofu, and peanut sauce. Garnish with fresh cilantro and sesame seeds, if you’d like. What veggies would you use for your spring roll bowl? Pre-heat the oven to 400 degrees Fahrenheit. 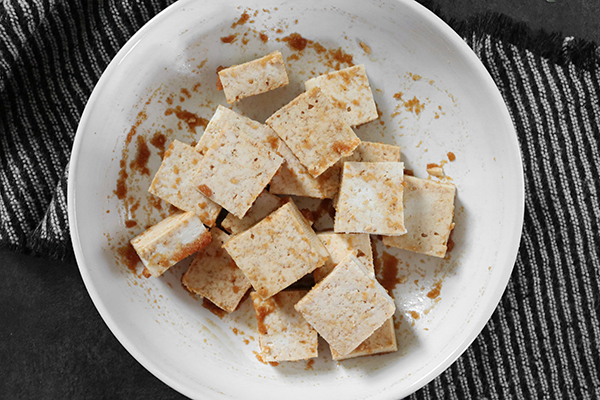 Cut the tofu into 1-inch cubes. To make the marinade, combine the olive oil, soy sauce, grated ginger, and garlic powder in a small bowl. Toss with the tofu and let sit for 15 minutes. 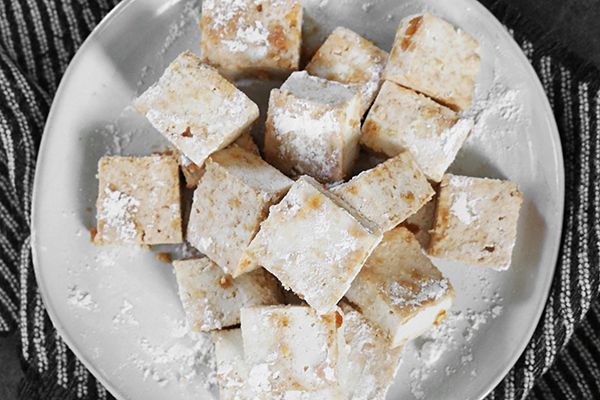 Lightly coat the tofu in flour or cornstarch. Place on a metal baking sheet lined with parchment paper. Bake for 25 to 30 minutes or until golden brown, flipping once halfway through. 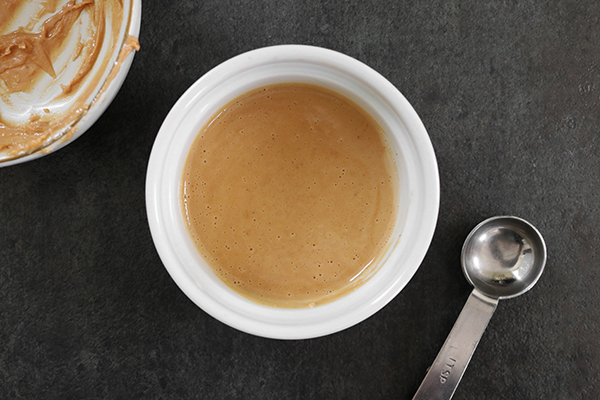 To make the peanut sauce, combine all of the ingredients in a blender. Adjust the ingredients as necessary. Cook the rice noodles according to the package’s instructions. Combine the rice noodles, tofu, veggies, and peanut sauce in a bowl. Garnish with sesame seeds and fresh cilantro.